Fossil fuels are everywhere. They are in the air we breath, the ground we walk on, and even the oceans and seas we swim in. All these contain supplies of fossil fuels. Today, most of the world’s energy we use is obtained by the burning of fossil fuels with the major sources being coal, petroleum and natural gas. So where do fossil fuels come from? – As their collective name indicates, “fossil fuels” are formed from the preserved remains of long dead plants, animals and creatures whose remains are buried deep underground. Over the course of tens of millions of years, these carbon-based deposits have been converted by the combined effect of heat, pressure and bacterial action gradually changing this dead plant matter into a combustible organic fuel such as coal, crude oil, and natural gas. Then nearly all fossil fuels are derived from dead organic matter. The coal, petroleum oil and natural gas we use today took millions of year to form and all contain carbon. We can’t make more of it in a short time. That’s why these types of fuel sources are called non-renewable. Today, people all around the world use these naturally occurring fuels to meet nearly all of their energy needs, such as powering cars, producing electricity for light and for heating their homes. They generate energy and heat through burning in air or with oxygen derived from air called “combustion”. The energy released can then be used for a variety of purposes. The simplest devices that uses them as a fuel source are stoves in which people can take advantage of the heat produced from their combustion and for some people, burning solid wood and coal can make the difference between being comfortably warm and freezing. Cars and vehicles use fossil fuel oil in the form of gasoline or diesel oil to power their internal combustion engines and in the form of refined oils for lubrication of the engine. 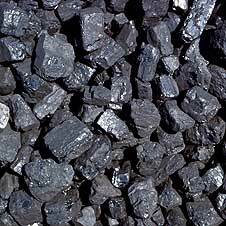 Coal is another important fossil fuel used for the production of electricity where the vast majority of electrical power stations burn them solely for this purpose. While natural gas which is a mixture of naturally-occurring methane with other hydrocarbons and inert gases is used to provide cooking, water heating and space heating for homes, businesses and public buildings around the world. Because their use is so widespread, fossil fuels are a popular source of energy because they are considered to be convenient, effective, plentiful, and inexpensive, with many believing that there are no practical and available alternatives to fossil fuels for most of their energy needs, so they continue to be heavily used. But there are some signs indicating that the world is going to face an energy crisis in the near future. Increased worldwide energy use and consumption of both coal and natural gas means that scientists are constantly looking for new technologies and ways of making them work more efficiently and reduce pollution. But electricity generated by new sources of energy called alternative energy, such as wind turbines and solar panels is still three times more expensive than electricity produced by conventional gas or coal powered electric generators. Many believe that renewable and alternative energy sources which are natural, continuous, largely available and environmentally benign are the way forward. Fossil fuels and alternative energy sources both have a lot of similarities and also differences. For example, they both come from natural sources and are commonly used around the world both providing energy efficiently. However, while alternative fuels are environmentally friendly and may last forever, carbon based fuels are the main cause of global pollution, are limited in supply and not all natural fuels are safe to store or handle. Modern life would be impossible without fossil fuels, and in many ways these natural fuels have benefited millions of people for thousands of years. The fact that they are everywhere means that it is nearly impossible to take any action without using them and today our world is completely dependent on these naturally occurring fuels for its energy needs. Are fossil fuels still being created today? – Yes, but they are being consumed at much greater rates than they are being generated so the supply of some types of fossil fuel is likely to run out in the not-too-distant future. Therefore, they are considered non-renewable for this very reason. Then we can say that fossil fuels are a “non-sustainable resource”. Yes, fossil fuels are a non-renewable resources. Current supplies took a very long time to form under the Earth’s crust. These supplies will be gone long before the Earth has had a chance to replace them. Even now, extracting them is a major drawback to using them. Countries that do not have natural reserves of oil and natural gas must depend on those other countries that do and as we know, burning fossil fuels contributes to air and water pollution as well as global warming. Most existing technology and infrastructure is designed around the use of fossil fuels. Transport systems are already in place. Pipelines for oil and natural gas as well as trucks and ships for petroleum products move them around to where they are needed. Consumers can buy the fossil fuel related products they use on practically every corner in every town. It remains to be seen whether fossil fuels will continue to meet the majority of the world’s energy needs or if the use of alternative and renewable energy resources such as wind, solar, or hydro energy will eventually surpass petroleum, natural gas, and coal. Regardless of this, it must be acknowledged that the supply of these non-renewable resources is finite, and therefore they should be used judiciously and wisely after all they can be defined by the simple expression of “Here Today, Gone Tomorrow”. To gain a better understanding of how “Fossil Fuels” were formed, or to obtain more detailed information and tutorials about the various types of non-renewable resources available on the planet, then Click Here today to get your copy from Amazon of one of the top books about Fossil Fuels and other non-renewable energy sources. Which energy source most contributes to air pollution? and per kwh, which energy source most contributes to air pollution? 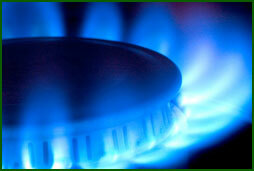 Natural gas or coal?